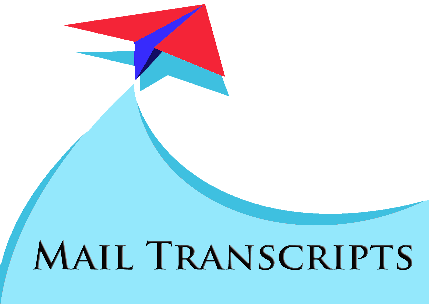 MumbaiUniversityTranscripts - Getting transcripts made fast and simple, just like that! 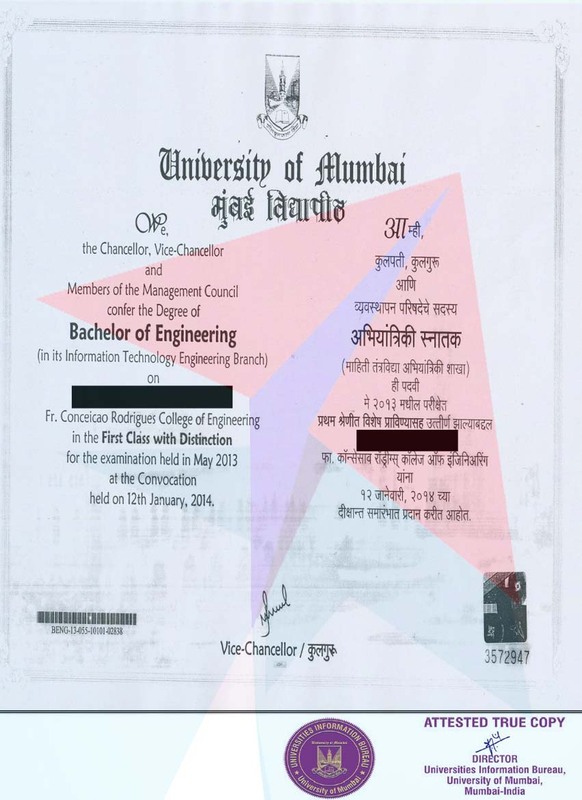 Transcripts from Mumbai University is a set of attested mark-sheets from first to last year. 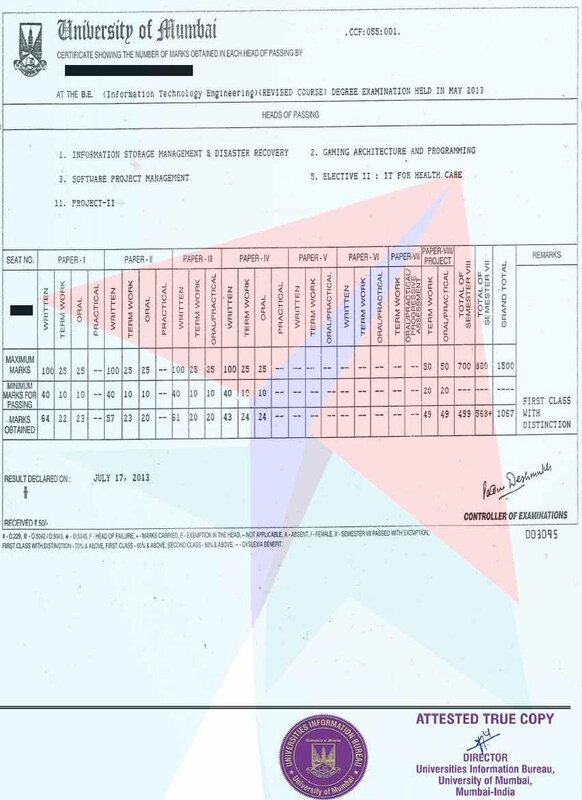 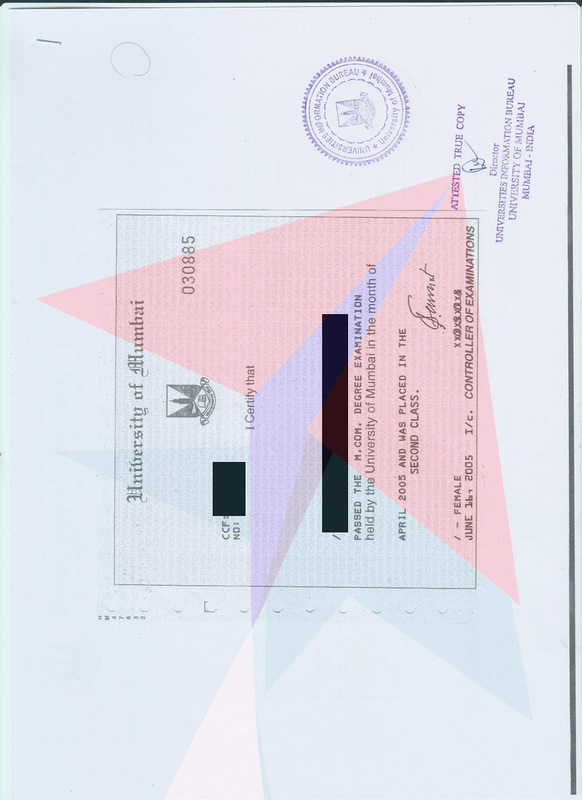 These mark-sheets are placed in sealed envelope which is stamped and signed by the official along the flap of the envelope. 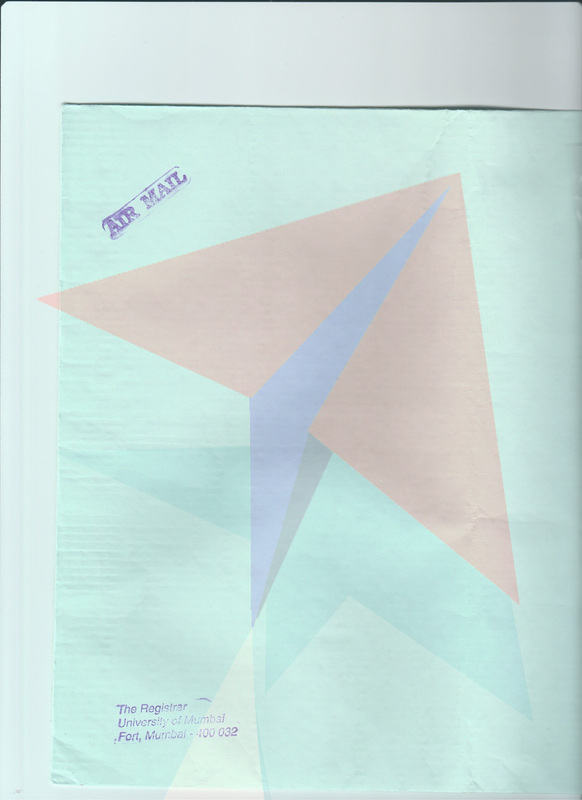 Please scroll below to check out the sample images. 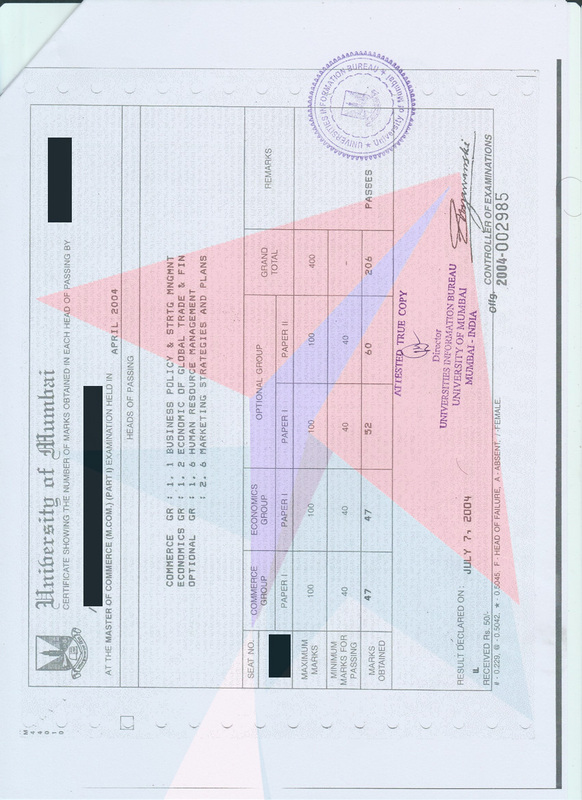 Each set of transcripts/attested mark-sheets from Mumbai University is issued in a separate sealed and stamped/signed envelope. 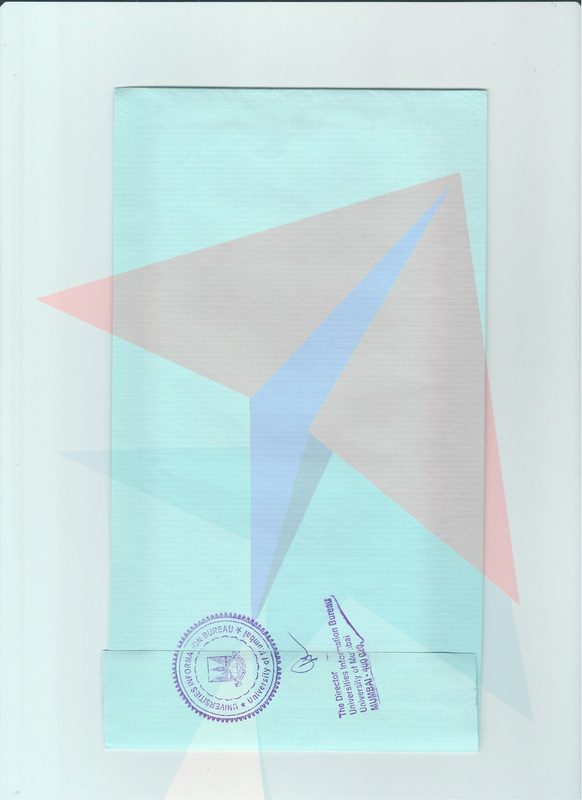 As such, if you apply for 3 sets of transcripts from Mumbai University, you will receive 3 envelopes, each containing one set of transcripts.